Configuration: 2 boxes per case. 1 pack per box. 11 cards per pack. Leaf Is Proud To Present A Multi Sport Product That Will Change The Industry Landscape With 2017 Leaf Pearl! Leaf Pearl Will Set The Standard For Aesthetic Beauty And Legendary Content By Which All Products Will Be Measured. Leaf Is Also Proud To Announce As An Added Bonus To An Already Amazing Display Of Content, Shohei Ohtani Pearl Signatures! Five Different Ohtani Autographed Cards Each Featuring A Different Image! Each Base Card Will Be Numbered To 10 Or Less And Each Will Feature A Pearl! 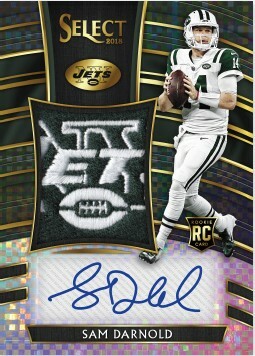 The Pearl Base Cards Will Have 5 Stunning Color Variations With A Gold 1/1 Pearl As The Treasure! Amazing Group Of Legends, Record Setting Stars And Hall Of Fame Stalwarts Make Up This List Such As: Pele, Floyd Mayweather Jr. And Nolan Ryan. Featuring The Rare Athlete That Steps Up When Pressure Is On And Millions Are Watching Such As: John Elway, Magic Johnson And Jerry Rice. 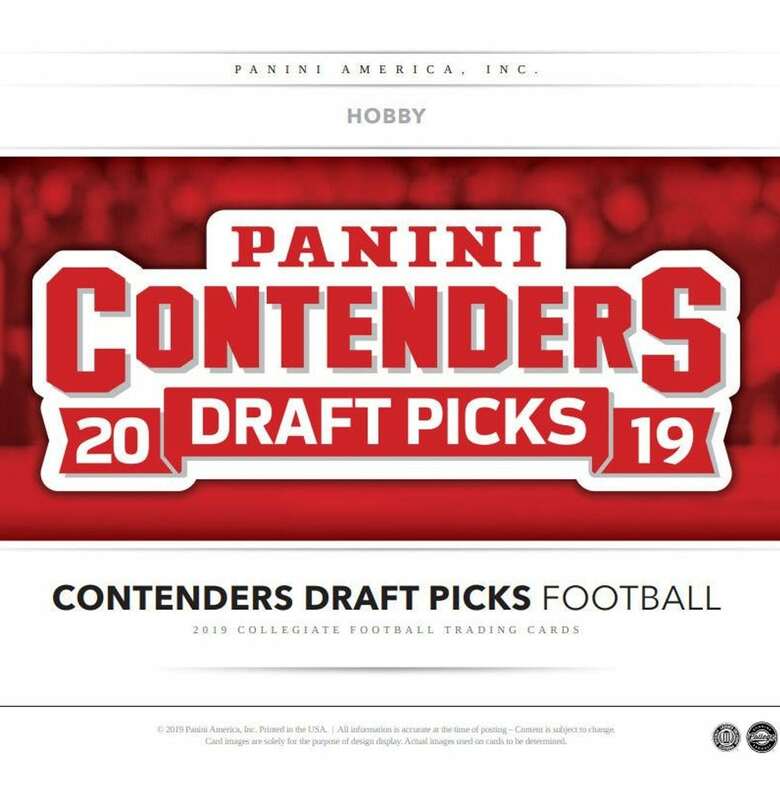 Signature Memorabilia Set Featuring Amazing Legends With Amazing Game Used Relics Such As: Nolan Ryan, Larry Bird And Barry Sanders. 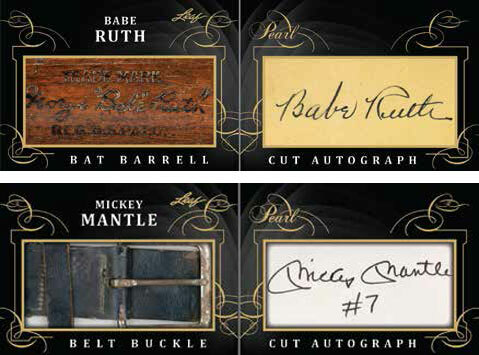 Cut Signature Set Featuring Legends And Historical Figures From Sport, Politics, The Silver Screen, The Small Screen, Music And More, Such As: Abraham Lincoln, Tupac Shakur, Marilyn Monroe And Lou Gehrig. Stunning Jumbo Game Used Or Event Used Patch Cards Featuring Some Of The Greatest Athletes In Sports History, Such As: Tom Brady, Kobe Bryant And Eddie Mathews. 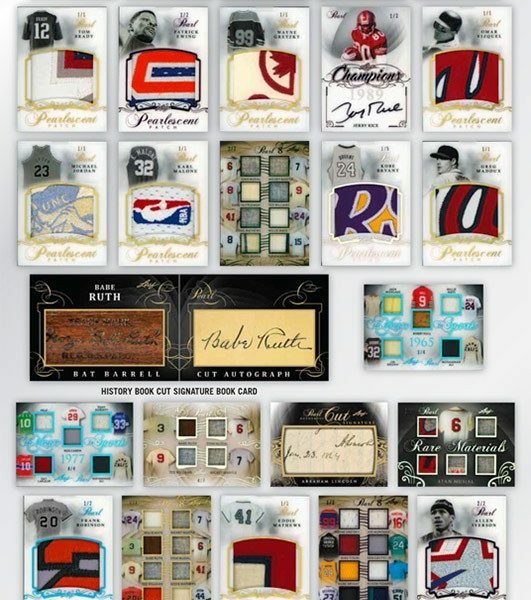 An Amazing Combination Of Legendary Talent Featured On These 4, 6 Or 8 Memorabilia Cards Such As: Ruth/Williams/Musial/Mantle, Ruth/Mantle/Musial/Berra/Robinson And Ruth/Williams/Pele/Howe/Jordan/Mantle/Ali/Chamberlain. Single Player 5 Piece Prime Memorabilia Set Featuring Athletic Icons Such As: Babe Ruth, Ted Williams, David Beckham And Thurman Munson. Signature Set Featuring A Legendary Autograph And A Legendary Bit Of Wisdom Such As: Nolan Ryan.